The rear wiper in the Audi A4 could be considered a luxury; however, it's still a safety feature. Learn how to replace the assembly here. The rear wipers on the Audi could be considered a luxury option; however, they actually play a role in safety. Having a dirty or faulty rear windshield wiper can limit visibility, especially when driving in rainy conditions. 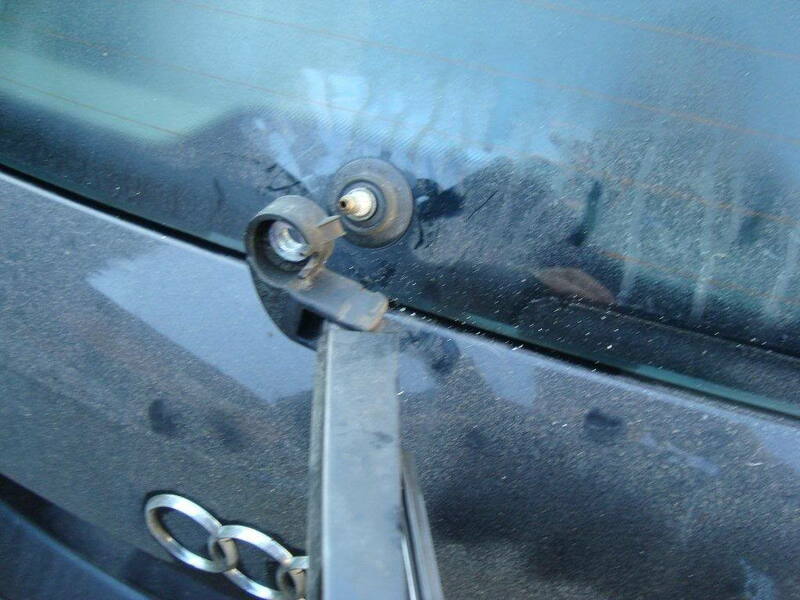 Whether a luxury or not, if your Audi does have rear wipers, you might as well use this feature to its full potential. This guide will show you how you can remove the old, dirty assembly, then install a new one in its place. 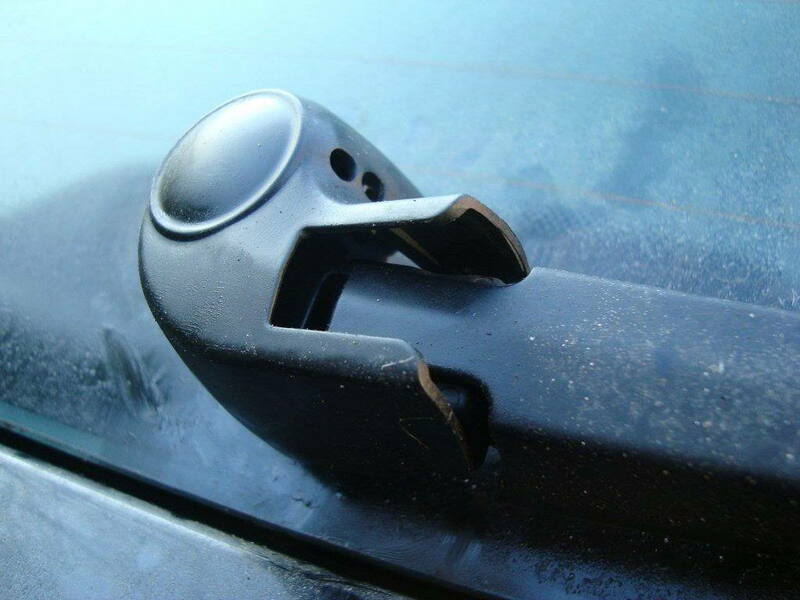 Similarly, if you have a broken rear wiper arm, then read on to learn how to replace it yourself. 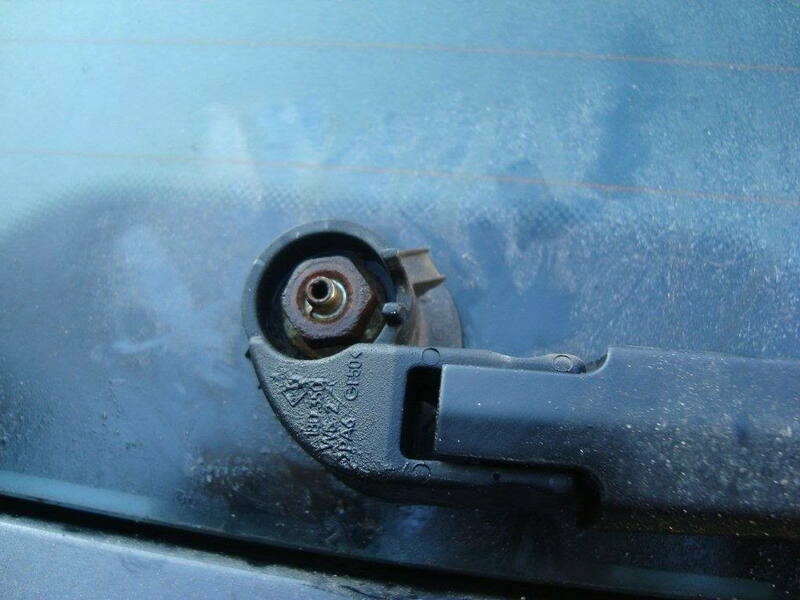 With your hands, remove the plastic cover on the base of the wiper's arm, which is the only part that connects to your car. Using your 13mm socket, remove the nut holding the assembly in place. Then, pull the assembly straight out. You may need to wiggle it a bit to remove it. Figure 2. Remove arm's nut. Install the new arm in place, then install the nut and tighten it. Place the cover back over the nut to finish the job. Figure 3. Install new arm in place.